It solves all of the problems with cord-free mice for gamers. Logitech's main mission at E3 this year: proving to gamers that wireless mice are just as capable, and sometimes more so, than their corded counterparts. 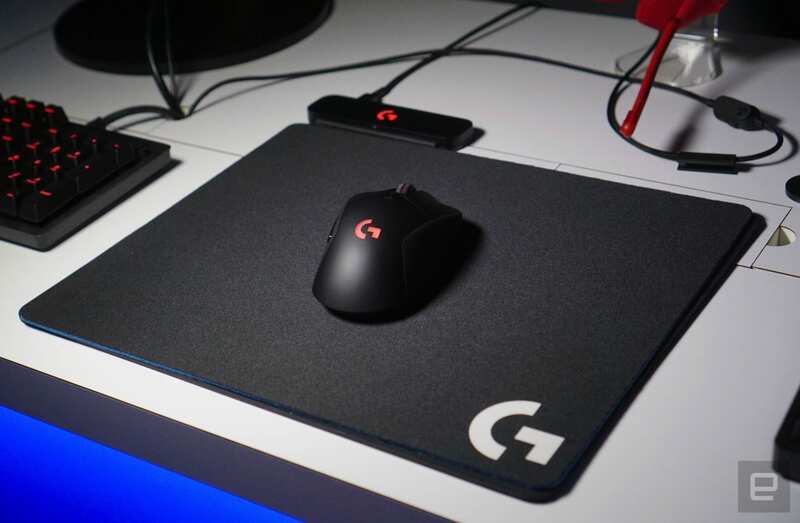 The company revealed two innovations at the show: Lightspeed, its low-latency wireless-transmission technology, and PowerPlay, a way to charge mice while using them on a custom mat. Both solve the main complaints some gamers have around wireless mice: that they're laggy and could lose charge at any moment. PowerPlay is the more intriguing of the two because it's something we've never seen before in the mouse arena. High-end wireless mice might give you a charging cradle, while others usually pack a cable in the box to juice back up. The idea that your mouse can just stay charged while you're using it throughout the day is wholly original. The $100 PowerPlay system includes two mouse pads (a soft and hard version), as well as a charging mat that sits underneath them. It uses electromagnetic resonance to keep mice juiced up, something that would appeal to anyone who appreciates Nikola Tesla's vision of wireless power. Logitech representatives on hand at E3 were quick to point out that the previous generation of gaming mice also featured very low latencies, Lightspeed just goes a step further to appease anxious gamers. It's releasing two new mice -- the $100 G703 and $150 G903 -- that support the new technology, and they also include integration for PowerPlay. Ideally, Logitech wants gamers to invest in both the new mice and the wireless-charging solution. That's an expensive proposition, but gamers are used to spending exorbitant amounts of money on high-end mice and keyboards. In my brief hands-on session with the G703 and G903, both mice felt smooth and incredibly responsive. The G703 is smaller and has fewer buttons, but it held up to an Overwatch session that involved lots of fast movement. The G903 felt more contoured to my hand, and if I was a more serious PC gamer, I'd appreciate its configurable buttons. Both mice rely on a small puck that sits at their base to handle the wireless charging. What's most impressive about that technology? It's hard to notice it's even there. A small LED on the PowerPlay pad indicates that the mouse is charging -- but that's it. Even though I play plenty of games on my PC, I've never shied away from wireless mice. But more serious gamers, especially those involved in esports, still have their superstitions around them. It's unclear if Logitech can actually tempt them, but both Lightspeed and PowerPlay are the strongest arguments yet that you shouldn't overlook wireless mice. Logitech's PowerPlay system isn't coming out until August, but we'll definitely take a closer look then.